Whilst we will continue to embrace the latest technology we only do so when there is overwhelming evidence that it is beneficial to the patient. 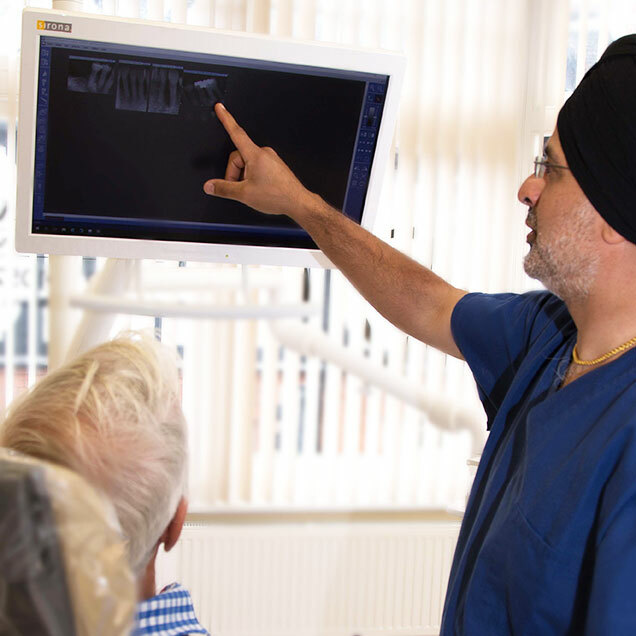 Latest technological advances are supported by thorough assessments, clinical inspections and listening to our patients. Digital x-rays provide sharp, high resolution images at the lowest possible dose of radiation. on a computer monitor within seconds of taking the image. A panoramic dental X-ray machine and film are outside of your mouth. This gives us a comprehensive view of your entire mouth in a relatively short amount of time (approx. 11 seconds). This type of radiograph works very well when assessing wisdom teeth or if a patient cannot tolerate having small digital sensors in the mouth. An intra oral camera is small digital camera that is slim and can take images of the inside of your mouth to be viewed in real-time. It connects to our computer and TV screen that you can watch as we investigate your mouth providing detailed accuracy. This helps you to understand the condition of your teeth and soft tissues. This is an invaluable tool helping you learn about your own mouth, and assist us discussing the best treatment options for you. Storing these images means we can compare tooth images as time goes on. more predictable. Surgery can be less invasive and optimises treatment outcomes.